Regardless of whether it is fair or shallow, appearance matters when it comes to your career. This is true across multiple industries, not just sales. Whether you are a lawyer or a financial planner, consumers want to hire someone who not only looks confident, but someone who looks energetic and able to complete the task at hand. While an aged appearance can certainly show experience, if you look haggard, unattractive or tired, you may have a hard time competing in your marketplace. This has led many men to turn to a skilled plastic surgeon for help. The above signs of aging can all be addressed with male plastic surgery. It comes to no surprise that the leading facial cosmetic procedures for men are rhinoplasty (nose job), blepharoplasty (eye lid lift) and facelift. 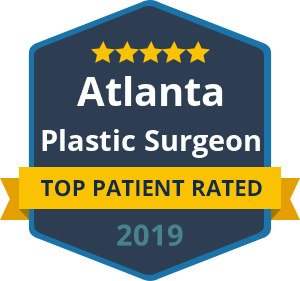 It takes a skilled facial plastic surgeon to correct these signs of aging without losing the masculinity and distinguished appearance that men want to maintain. If you find yourself getting “beat out” by a younger, more attractive male co-worker, consider male plastic surgery. Dr. Talei is exceptionally skilled in this area. He performs all types of cosmetic procedures for men, including hair transplant and beard transplant. An investment in plastic surgery can help you turn back the hands of time and boost your career at the same time.